As it turns out, this wasn’t the type of I35 corridor hail storm date we were hoping for. 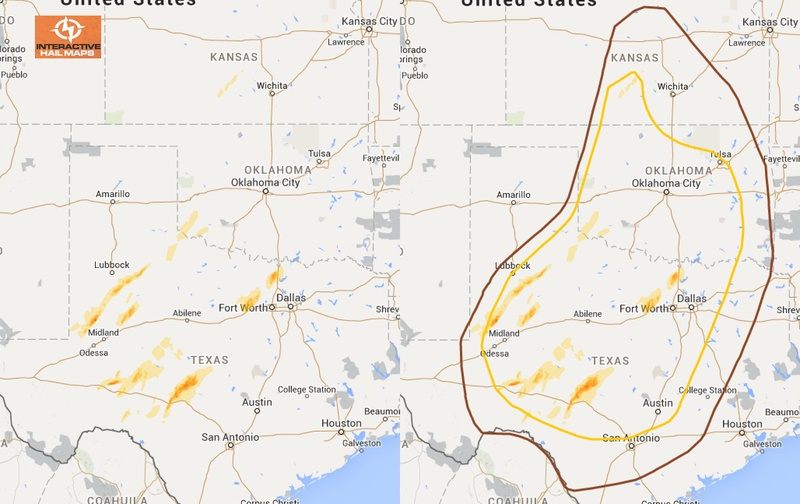 The Storm Prediction Center was anticipating a 15% hail zone from OKC to Larado TX 100 miles wide, but most of the good stuff was well west of the populated areas. We had some HUGE spotter reports in some storms, and a couple of bruiser super cells that we were hoping would cross the border and wreak havoc in the McAllen area, but nothing quite made it to I35. Still, it’s early in March, and we haven’t seen this type of hail this early in a few years. Let’s hope some of those bruisers make it across the border and over to the I35 area soon!